Like many people who grew up living near the Grand Canal, I and many of my friends spent numerous sunny afternoons swimming in it. Although our parents would have discouraged or just plain banned us from doing so, we would still find ways to sneak up, towel hidden under jacket, for a dip. This, it seems, was an even worse idea than we realised. Not surprisingly, it is illegal to swim in the canal locks and basins, however it is not prohibited along the main stretches. When contacted, a Waterways Ireland spokesperson told us that “Waterways discourages swimming in the canal unless it’s a designated swimming area.” The Gardaí are kept busy during the summer months trying, often in vain, to enforce the bylaws around the Grand Canal Dock. As is often the case, all it took to clear the water was one scary incident. This happened recently when a child from Ringsend contracted a flesh-eating bug after a swim in the Grand Canal Dock. Although neither I, nor anyone I know, ever got sick from this, there is a whole host of nasty diseases and infections to be found in slow-moving water such as city canals. Generally, if the water looks clean and clear, it’s a good indication that it’s safe to swim in. If it’s scummy or cloudy, it’s best to avoid it. Obviously, it is impossible to account for the things you can’t see. Here are a few examples of the delights that could await the urban swimmer. • Weil’s disease (also known as leptospirosis) is a bacterial infection spread by animal urine, especially that of rats, and it tends to be found in urban rivers and canals. You can contract it either by swallowing contaminated water or, more likely, by getting it into your bloodstream through a cut or graze. Symptoms can range from mild (headaches, nausea, muscle pains, and fevers) to severe (bleeding from the lungs). If you must swim in waters where you think there may be rats, you can go some way to protecting yourself by covering any cuts with a waterproof plaster before swimming, and avoid swallowing water. • Swimmer’s itch (cercarial dermatitis) is an itchy rash caused by certain parasites that thrive on freshwater snails, which live on the reeds around the banks of canals. On warm, sunny days the parasites can be released into the water and burrow into the skin of swimmers. Although uncomfortable, the itching generally lasts no more than a couple of days. You can’t spread the rash to other people, and it doesn’t need treatment. • Blue-Green Algae are commonly found in fresh and brackish water during mid to late summer. Algal scums accumulate downwind on the surface of lakes and slow-moving water. Toxins produced by large blooms have caused the death of sheep and dogs and skin and other disorders in humans, although no particular illness has been identified that can be linked with Blue-Green Algae. 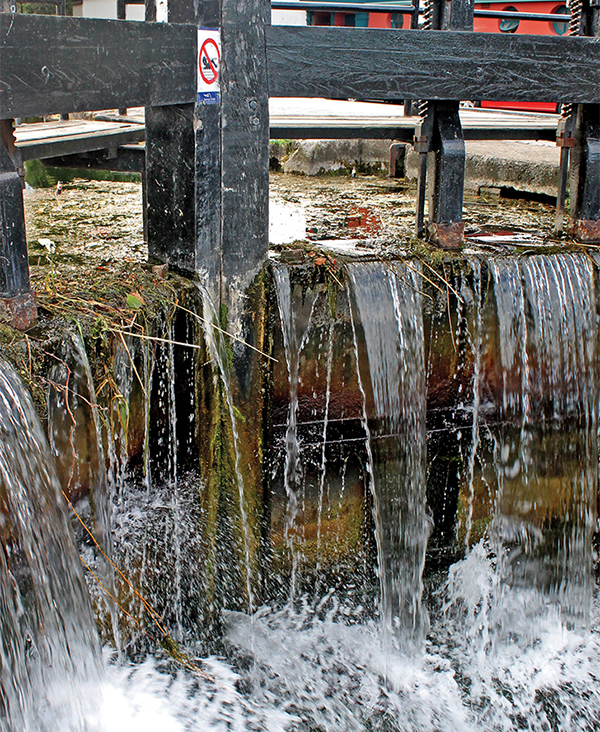 There is no publicly available, up to date data for water quality in the main stretches of the Grand Canal, however businesses that use it are provided with information on quality, and would certainly be alerted if anything nasty was detected. The seriousness of the dangers of waterborne diseases to canoeists and rowers was brought home in 2010 with the death of British Olympic rower Andy Holmes, who contracted Weil’s disease during training and died a short time later.